Joined by several of my graduate colleagues from FSU, I spent this past weekend in Indianapolis at the Third Biennial Conference on Religion and American Culture. 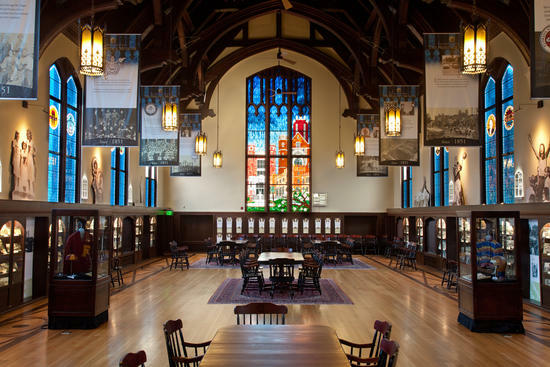 Hosted by the Center of the same name, the conference brought together a variety of scholars broadly interested in Religious Studies in an American context. The paper I presented at the recent FSU symposium, “The Importance of “Classification” in Teaching World Religions; or, On Using Justin Bieber to Teach J. Z. Smith” centered on the role that the concept of “classification” can play in a well-oiled World Religions classroom (as a bonus, it also allowed me to scratch “Present a paper with ‘Justin Bieber’ in the title” off of my bucket list). 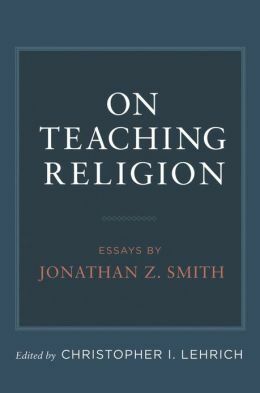 I wanted to take the opportunity to meditate on Jonathan Z. Smith’s statement that “an introductory course serves the primary function of introducing the student to college-level work” (1). If our primary job is to introduce, what exactly are we introducing? In a course as conceptually muddled as World Religions, the answer isn’t always clear. Are we supposed to talk about, for example, what “Buddhism” is and what Buddhists believe? I know that’s what my students expect me to do at the start of each semester. Here, my colleagues’ papers were very helpful: as Brad’s paper showed, simply reading the textbook(s) uncritically is rife with problems. Similarly, Tara’s paper showed how easy it is to reify notions of “tradition” without intending to do so. In other words, what our panel argued is that given its conceptual problems, World Religions is an incredibly difficult course to teach well. Classification is helpful to teach for a variety of reasons. For one, it relieves (or at least assists) instructors in the debate about the worthiness of World Religions classes (or even courses in the humanities in general) by showing that there are, in fact, a variety of useful life-skills that can be taught and developed in our classrooms. Everything from identifying authority structures to tracing power dynamics to an awareness of how ideology and rhetoric operate can be reviewed in our courses. It also gives my students the tools to follow the textbook while interrogating it at the same time. Most important for the graduate instructor, however, might be its practicality. By focusing attention on the issue of classification and, more specifically, how the people and groups under study classify and are classified, you can get more bang for your buck out of every lecture. In so doing, it makes larger theoretical points much more accessible. I’ve found that it is, hands down, one of the most useful tools with which I can equip my undergrads. An introductory course must feature a good bit of activity….For example, there should be short weekly writing assignments on a set task that requires reflection, argumentation, and risk-taking. Each piece of writing must be rewritten at least once, regardless of grade, and this requires that every piece of writing be returned to the student, with useful comments, no later than the next class period…an ethic of revision rather than originality should prevail. Among other devices, I ask my students to keep two notebooks, one for class and one for their reading. They are to make their notes on the right-hand pages and register queries, thoughts, conversations (with attribution) with other students, and, above all, revisionary proposals and re-readings on the left. At least once a quarter, I call in all students’ notebooks and texts. After reading them through, I have individual conferences with each student to go over what they’ve written and underlined and to discuss with them what this implies as to how they are reading and reflecting (2). In short, I think this approach may work better with a class of 10-15 students than in a 70-person class with members who are in a period of their lives where they perform keg stands for breakfast. And, that aside, though it may be an ideal way to do things, it is simply not practical as a graduate instructor. And here’s where the rubber meets the road: if we don’t know how to introduce, what good can we do? I tried in my own way to come up with approaches that might work. I needed the quick and dirty version of theoretical sophistication, something that could work to reach students who are trying to learn while some of their peers are, quite literally, drunk. How, then, to do it well? It’s a complicated question, and one I’m far from answering satisfactorily. I have a few ideas that have worked well, and I’m always looking to improve. One idea in particular has been helpful: I begin by assigning a first week writing prompt using the course syllabus as an object lesson. The students must address the differences between the traditions covered in the textbook and the ones covered in our syllabus. They then have to consider what is classified as worthy of inclusion in my course, and what is not. They have to wrestle with, for example, why their textbook omits any discussion of the Flying Spaghetti Monster or Scientology. More importantly, they can begin to hypothesize why we might talk about some things rather than others or, to quote Smith yet again, “why this rather than that” (3). (1) Smith, Jonathan Z. “Narratives into Problems”: The College Introductory Course and the Study of Religion” JAAR 56:4 (1988). (2) Smith, “The Introductory Course: Less is Better,” 729. (3) Smith, Jonathan Z. Imagining Religion: From Babylon to Jonestown (Chicago: University of Chicago, 1982), xi. The Department of Religion at Florida State University recently hosted its annual Graduate Symposium, which always proves to be a good time. Besides the good conversation and the opportunity to meet graduate students working in related fields, the symposium offers an opportunity to try out some of our research in a friendly setting. At this most recent symposium there was a definite focus on graduate pedagogy, which was downright refreshing. While there’s always plenty of talk about the ins and outs of research practices or navigating the job market, it’s always struck me funny how little attention is normally paid to teaching–ostensibly something we are all doing (or hope to do one day). As a result, Brad Stoddard, Tara Baldrick-Morrone and I organized a panel on how graduate students should go about teaching introductory courses, specifically World Religions (which is a bread and butter course here at FSU). This is something we were interested in for a variety of reasons, not least because (1) the pitfalls in teaching World Religions are many and (2) we all have to do it regardless. The panel, “Critical Reflections on the Teaching of World Religions” was splendid–and not least because we were in the newly remodeled Werkmeister Museum (seen above). I’ll go into more detail in future posts, but suffice it to say that I’m very grateful to the attendees who stopped by to hear us talk. We were fortunate enough to have one of the early time slots–at that magical moment when academics’ mid-afternoon caffeine is kicking in, yet before their thoughts have drifted towards the catered dinner awaiting them–and we were rewarded with many thought-provoking questions during the Q&A. I think there’s something to be said for settings like these, where can come together and discuss teaching in a way that is mindful of the peculiar pressures on graduate instructors–pressures both practical and political. I’ll elaborate on these pressures in a future post.